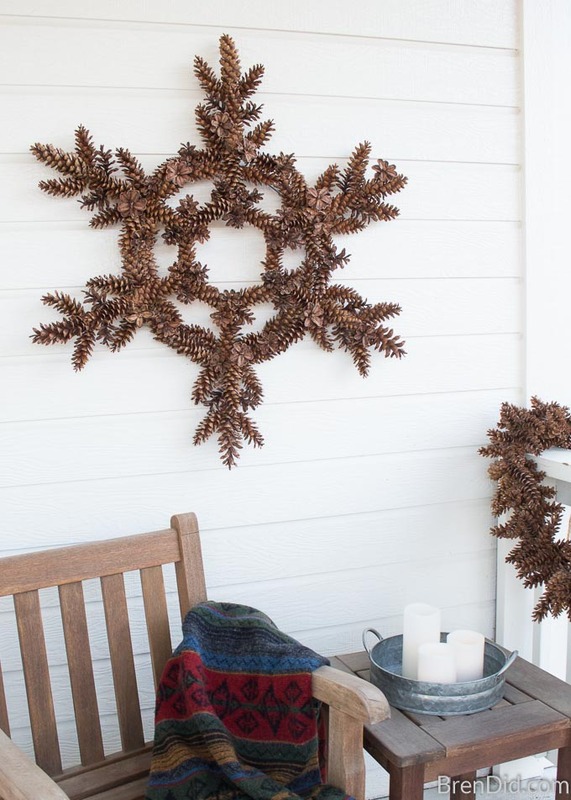 This simple pinecone snowflake wreath is the perfect snowy season decoration. Use it to dress up your home from Christmas until Valentine's Day. (Seriously, it's perfect for all the cold weather months!) 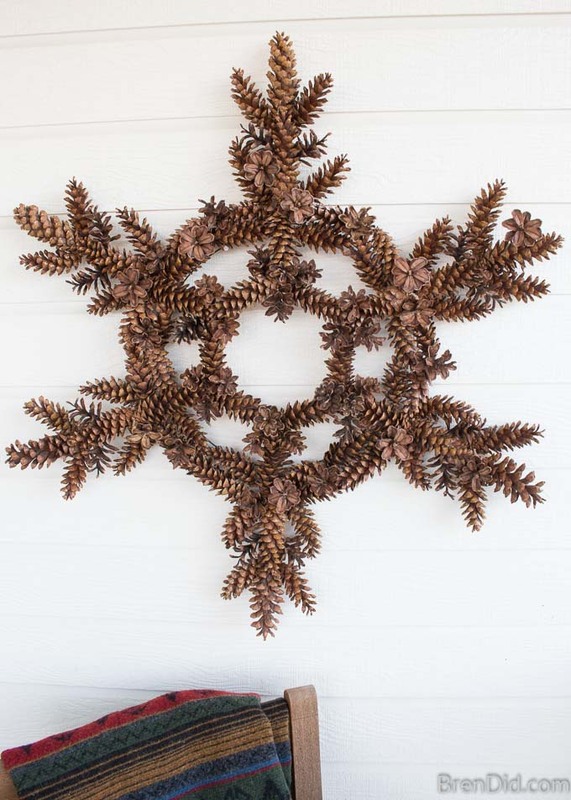 Learn how to make this easy pinecone snowflake wreath today! I love pinecone decorations! They are easy to make and bring a touch of nature indoors. Plus pinecones are a cheap craft supply… they can even be collected for free if you have a tree in your yard or a public park nearby. There was a HUGE pine tree growing outside the patio of my very first apartment. 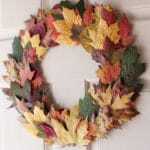 I used to collect the fallen pinecones and glue them onto bent wire hangers to make Christmas wreaths for my friends. My crafting skills have improved since those coat-hanger wreath days, but I still have the same love for free pinecones! 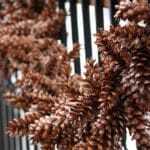 Tip: Learn to how to prepare pine cones to eliminate creepy-crawlies, dirt and mold before making these crafts or decorating with pine cones. This year I wanted to create a beautiful pinecone snowflake wreath that could hang on my front pouch all through the winter. I love the unique shape and like that it lasts for months! 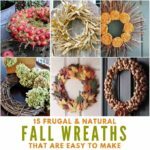 I've seen similar wreaths in my favorite decorating magazines but could never find a great instructions for making my own wreath. Heck, I've never even found a pinecone snowflake wreath for sale! I gathered my favorite pinecones, put on my thinking hat, and created this beautiful wreath. I hope you love it as much as I do! 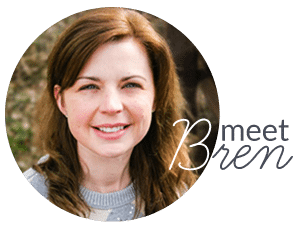 You should also check out my easy pinecone garland, they make the perfect porch decorating pair! 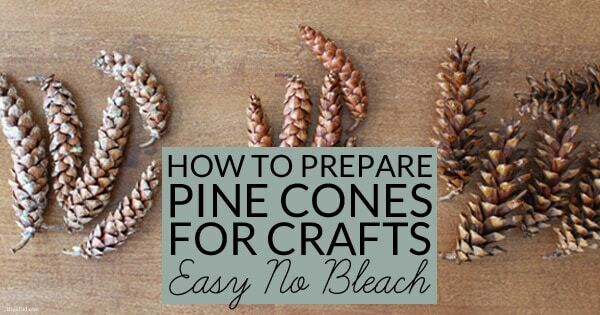 Have lots of pine cones to use? 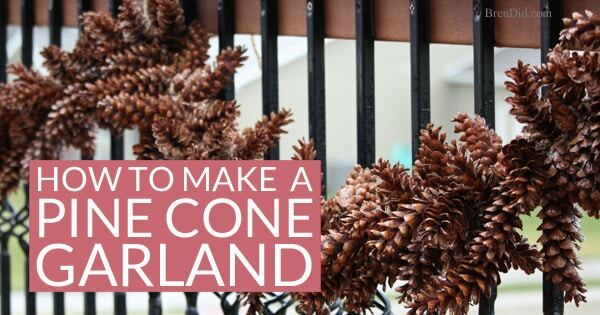 Check out these easy pine cone holiday decorations! 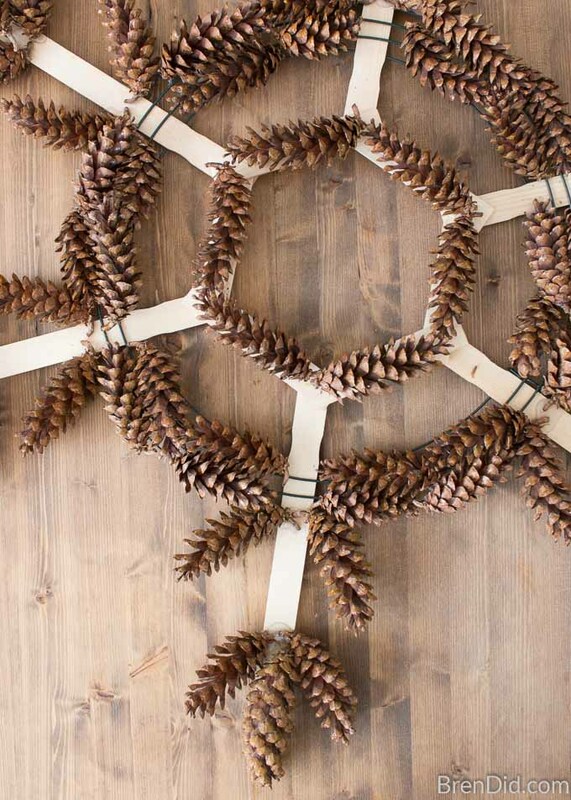 Note: *Long, slender pinecones work best for this pinecone snowflake wreath. 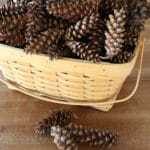 I am using Eastern White Pine (Pinus Stobus) pinecones I picked up in my yard. 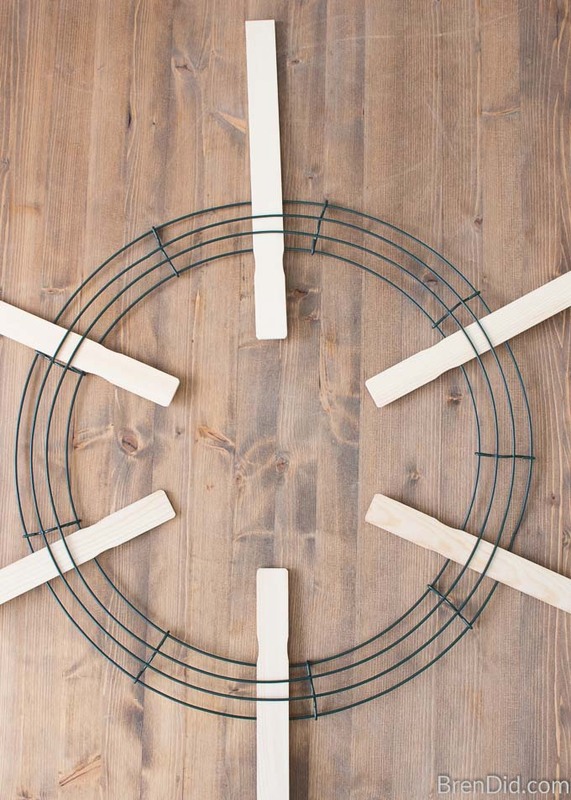 Turn the wreath form into a snowflake shaped base by weaving six (6) wooden paint stirrers through the edges. Secure with hot glue if necessary. Cut the three (3) remaining stir sticks in half. 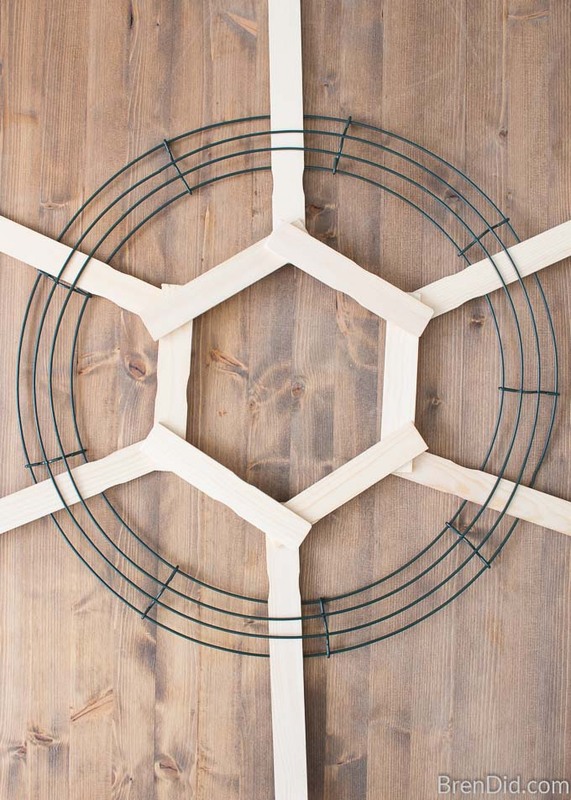 Lay cut stir sticks in the center of the wreath on top of stirrers to form a hexagon. Secure with hot glue. Glue a pinecone to the top of each stirrer so the end points out. 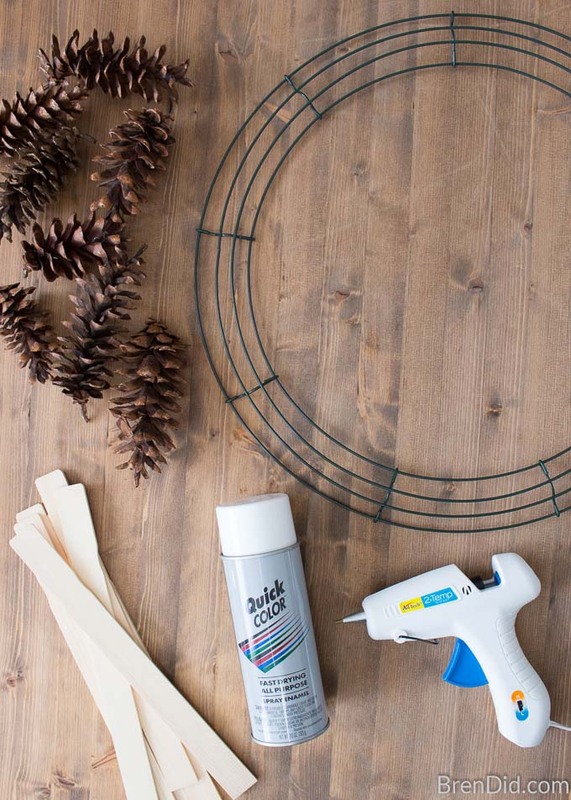 Glue pinecones to the wire frame between each stirrer and the center hexagon. Leave stir sticks uncovered, as shown. Add two (2) pinecones to each stirrer, one pointing out and one pointing in. 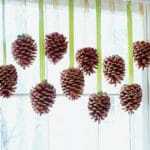 The point of each pinecone should rest on the first layer of pinecones, tilting slightly upward. 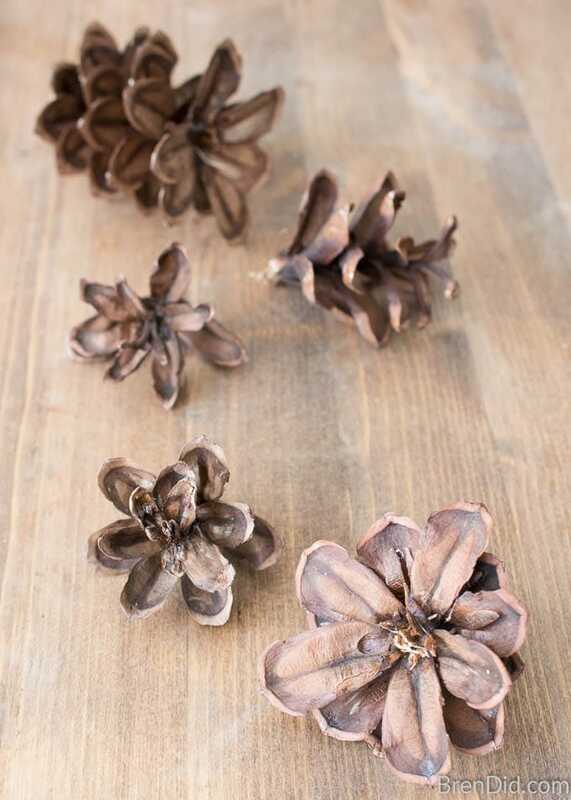 Cut remaining pinecones into tops (about 2-3 inches long) and flower shaped florets. Use glue to hold together, if necessary. 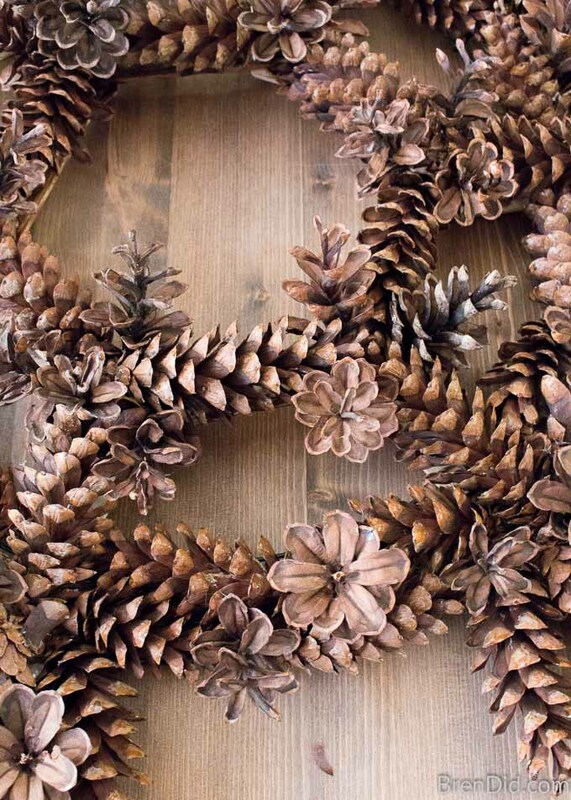 Optional – Spray the wreath with several coats of spray paint or artificial snow for a white pinecone wreath. Enjoy! 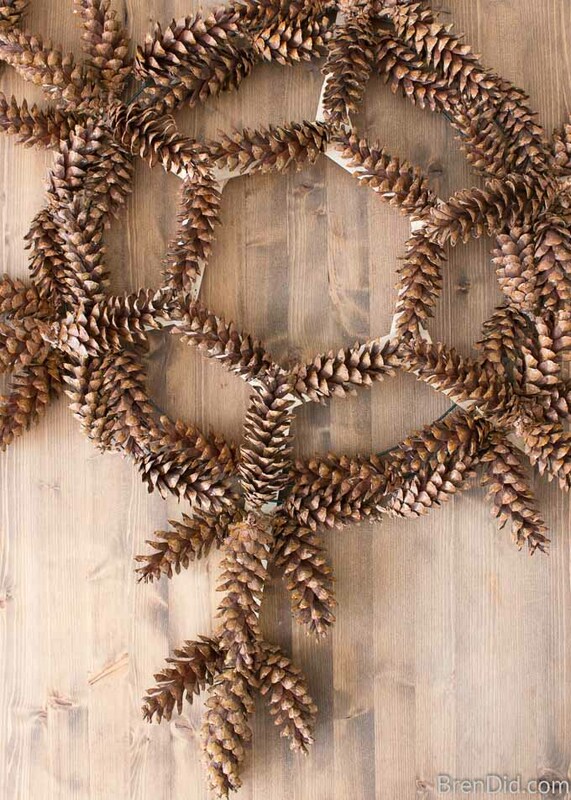 I love hanging this rustic pinecone snowflake wreath with my pinecone garland. 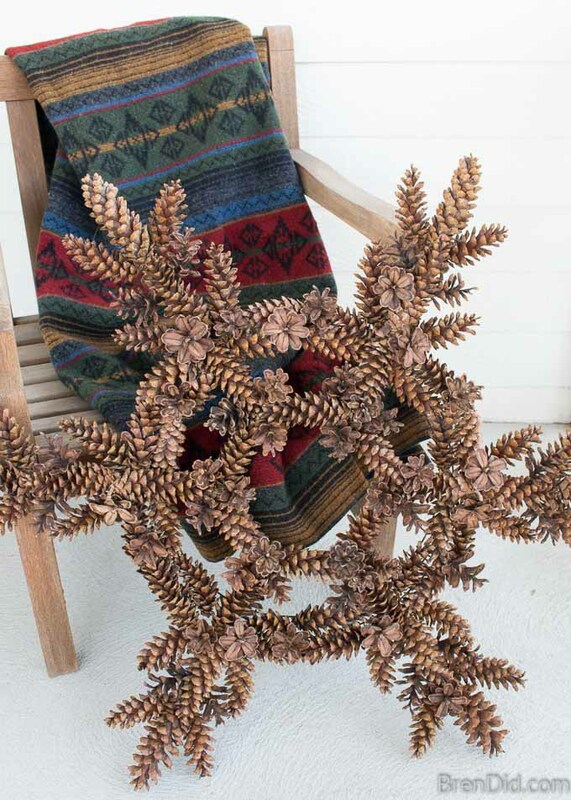 Want even more pinecone decor ideas? 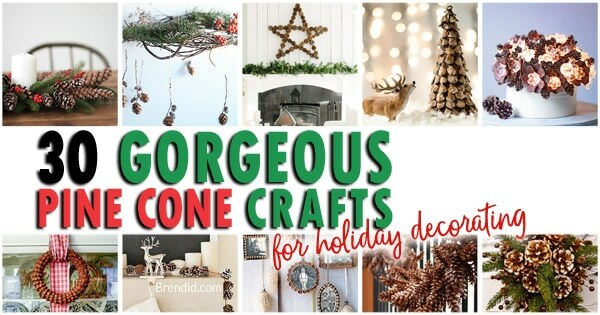 Check out my 30 favorite pinecone crafts here. Love my creative ideas? 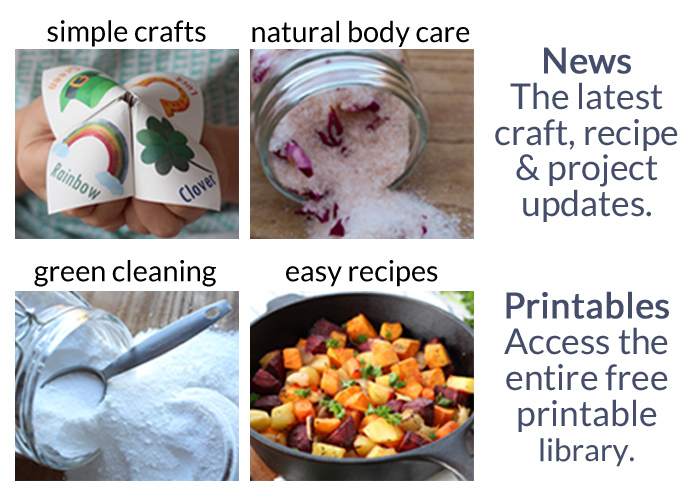 Sign up for my newsletter below and never miss a thing!